Opened in 2010, the Dorsett Mongkok Hong Kong is a contemporary hotel with stylish design elements, located in Kowloon. 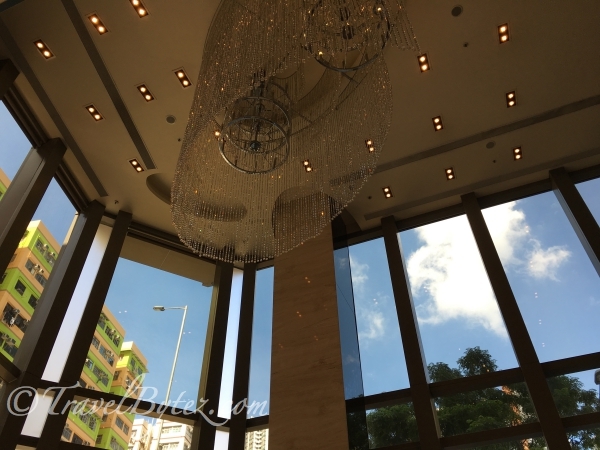 In addition, to being one of the few 100% indoor smoke-free hotels that has attained the bronze benchmark status by EarthCheck, the hotel is also rated for the best value in Hong Kong! Very handy smart phone: it was not in the room when we checked in, but was easily resolved by approaching the counter. Oneonefishone, a fusion restaurant serving signature hotpot dishes for dinner, buffet for breakfast and lunch hours daily. It is located at the 2nd floor. The very popular shuttle service which is always full every morning! So come down at least 20 minutes earlier. Hong Kong International Airport is about a 35-minute drive from the hotel. Hong Kong's famous Ladies' Market and Nathan Road are a 10-minute walk from this hotel in Kowloon's bustling Mongkok area. The Temple Street Night Market, Jade Market, and Yuen Po Street Bird Garden are within 2 km. For HK$140 (ard S$25) per person per trip, you can get to the hotel directly to the hotel from the airport. For just HK$60 (S$10) more, we get to save time and effort from transferring between different modes of transport, or paying for unnecessary fees (just to put your luggage in the boot because it takes more effort?). I mean Singapore taxi fares have been increasing and are no means cheap (nor that exorbitant...yet), but to charge something such as (per) luggage just dampens the word 'service'. Now if they said there were various surcharges and they could 'justify' it, than that would be another matter. Hence, for the journey from the airport to the hotel, we decided on catching the Airport Coach by Vigor Airport Shuttle Services Limited since they would alight us directly in front (at the side of the hotel actually). There is the option to purchase the tickets online from the official (S$25 / HK140), but we discovered that websites such as Changi Recommends (S$22 / HK$125) and Klook (S$20 / HK$114) have some discounts. We were really excited to book the tickets for the Airport seat-in coach via Klook, but since we did not know whether Cl's flight will be delayed we decided to try our luck and see if there were any available slots when we arrived. 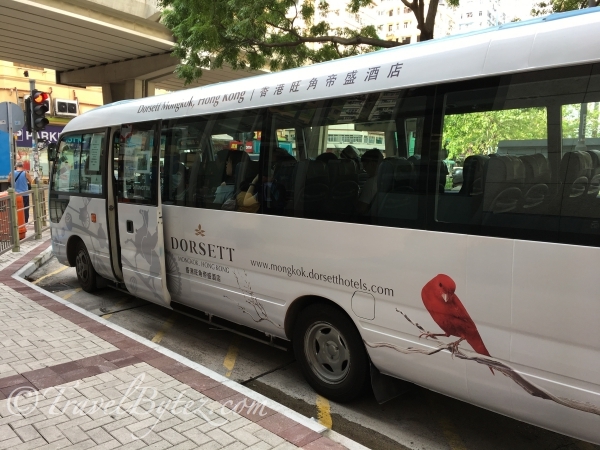 From the coach's official website, the last bus to Dorsett Mongkok ends at 16:55. The alternative route would be taking the Hong Kong Airport Express Train and then catch either catch the hotel complimentary shuttle bus or the free Airport Express Shuttle (Route K5) to Dorsett Mongkok Hotel. As our hotel is on the Kowloon side, a roundtrip ticket on Klook would cost HK$131 / S$23 per person, while for a single trip ticket purchased from the Airport Express Customer Service Centre would cost HK$62.50-75 / S$11-13 per person per trip. So a "roundtrip" ticket from the Airport Express Customer Service Centre would be HK$125-150 / S$22-26 per person. Tip: If you are not yet a member at Klook, you can sign up here. If you want to see what promo codes there are for Klook, you can go to Super Saver Mama. However, do note that not all the codes work and it is really all about timing, and trying each code to see if it works. Booking: Via the hotel website (P.S. 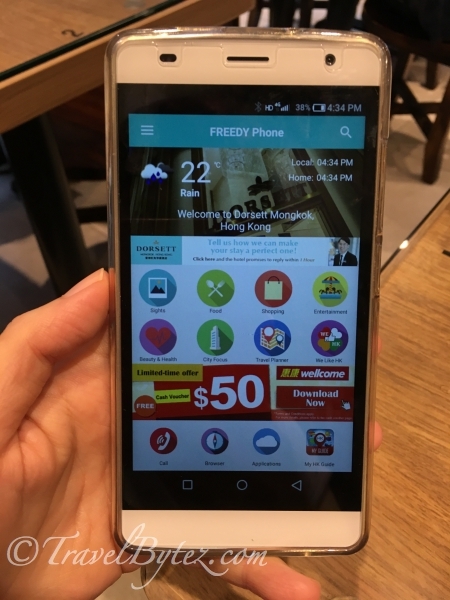 do check out their mobile website on your mobile phone for promotions from time to time - we paid SGD$272.84 / HK$1,525 per person for 4 nights with no breakfast, but there are plenty of breakfast options around the are) OR online for a better pricing.